The University of Chicago is located in Chicago, Illinois, United States. It is a private research university and was founded by the American Baptist Education Society in 1890. The university is made up of several different learning institutions which includes the College of the University of Chicago, graduate programs and interdisciplinary committees. The University enrolls approximately 5,000 students in the College and about 15,000 students overall. The largest university newspaper, the Chicago Press newspaper is also native to the University of Chicago. The University also contains six professional schools and its Law School is accredited by the American Bar Association. 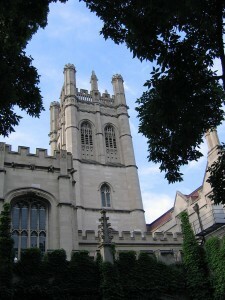 The University of Chicago is governed by a board of over 50 trustees. Tuition depends on what specific courses the student takes as well as what their major is. There are also fees associated with being a student at the University of Chicago including Student Health Insurance, Student Life Fees and more. The main campus of the University of Chicago consists of over 200 acres in Hyde Park and Woodlawn. The formerly gothic inspired decor is now ultra-sleek with very modern touches. 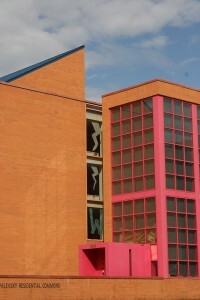 Newer buildings and additions have updated the University with many projects taking place in the early 2000s. These additions include the Gerald Ratner Athletics, the Max Palevsky Residential Commons, and the South Campus Residence Hall. Students can also eat and socialize at the new dining commons. The University of Chicago is also home to a new children’s hospital where students can learn hand-on how to develop their interest in medicine and helping people. The school has a unique glass dome-shaped library which provides a large reading and research area for students. There are many different clubs available to students at the University of Chicago, many of them being run by the students completely. These clubs include religious groups, academic teams and other common interest groups. Student groups include the student newspaper, The Chicago Weekly and the student-run radio station WHPK-FM. Greek life is thriving on-campus with fourteen fraternities and six sororities for students to choose from. 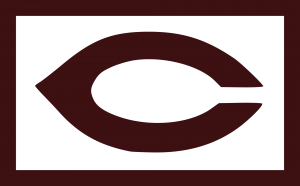 The University of Chicago sports teams are referred to as the Maroons. The school hosts 19 varsity sports teams. The Maroons compete in the NCAA’s Division III as members of the University Athletic Association (UAA). There is many other student organized recreational sports teams that students can also participate in that do not require the same amount of athleticism and commitment as a school team. 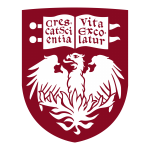 The University of Chicago has many notable alumni including Goldman Sachs and MF Global CEO, Jon Corzine; novelist, Philip Roth; New York Times columnist, David Brooks and Federal Judge, Robert Bork.